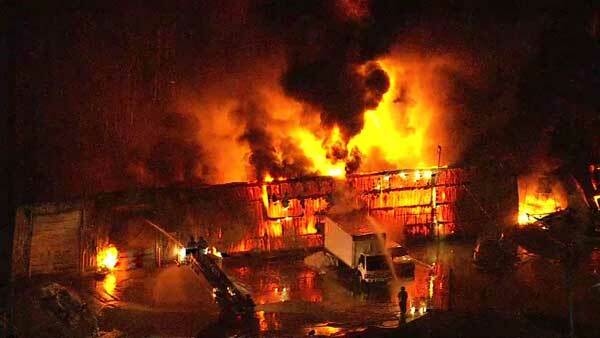 HARVEY, Ill. (WLS) -- Firefighters are working to extinguish a lumber yard blaze in south suburban Harvey. Large flames were shooting from the building when crews arrived at the scene near 147th Street and Ashland Avenue early Thursday morning. Thick, white smoke rose from the lumber yard as firefighters worked to get the flames under control. Sibley Boulevard was blocked from Wood Street to Loomis Avenue Thursday morning.